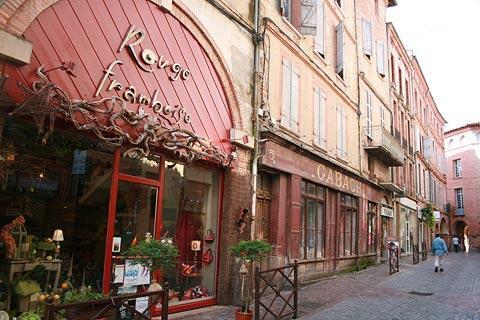 Montauban is a historical bastide town situated about 50 kilometres north of Toulouse in the Tarn-et-Garonne department. The town, founded in 1144 by the Count of Toulouse on the banks of the Tarn River, is largely constructed using the attractive pink stone found in the region, like its great southern cousin Toulouse. 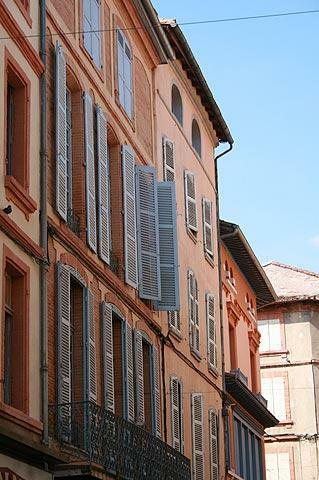 The highlight of the town is at the centre of the original bastide in the Place Nationale. 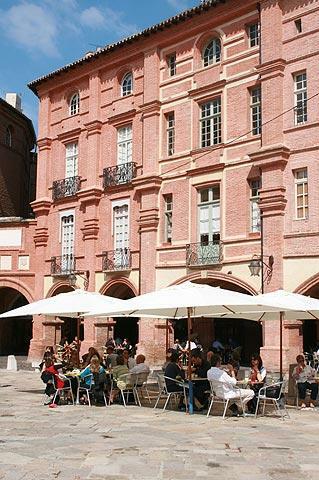 Surrounded by grand pink houses in the red-brick that is unique to this part of France, and set above fine arcades, the very attractive central square in Montauban was largely rebuilt in the 17th century after a fire, hence is not the original bastide centre. The arcades (the arches and walkways that surround the square and historically provided shelter for the market traders) are an unusual 'double' construction with one set of arcades near the house and shop fronts and another closer to the main square. Intact on all four sides, this central square in Montauban is one of the most impressive to be seen in all of the bastide towns of south-west France and some experts maintain that it is also the oldest bastide town in France. After perhaps stopping for a pause in one of the cafes in the town centre be sure to wander around the surrounding streets a little. For example, if you follow the Rue de la Republique you will see a smaller square called Place du Coq which is also charming. 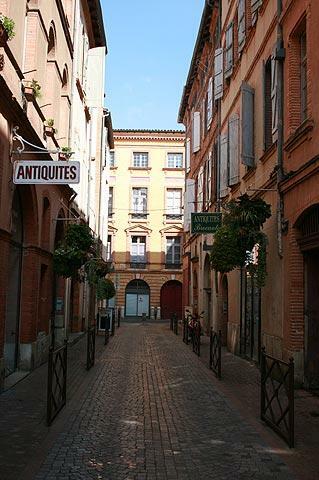 Following the traditional grid pattern of a bastide town, the straight streets of Montauban town centre around the centre now form a lively shopping centre, with lots of interesting features and buildings to discover. Keep exploring along Rue de la Republique until you reach the river and a chance to see the lovely old bridge - and old it is, having being built around 1303-1335, much older than most 'old bridges'! 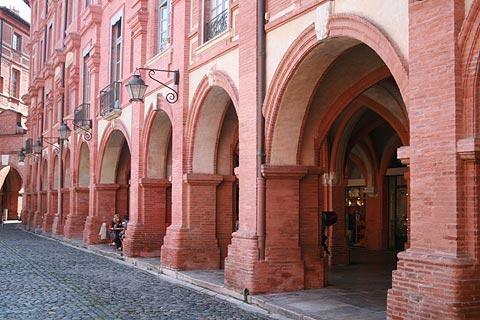 The tourist office in Montauban is also in an attractive red-brick building that was originally a Jesuit College dating from the 17th century, although a significant part of the building is a result of later additions and modifications following fire damage. Among the highlights in Montauban you will discover the Church of Saint Jacques - an attractive 13th century church with an octagonal belfry and an impressive mosaic entrance that survived the fires that later destroyed much of the town centre. 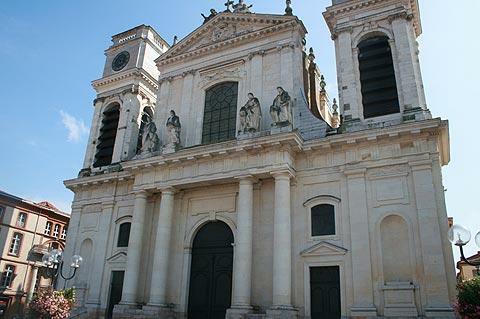 Another religious monument, the Cathedral of Notre-Dame (1739) is in a classical - baroque style with four statues on the facde and notable as being one of the few buildings in the centre to be built from stone. Inside the cathedral you can see a 17th century organ and an important painting by Ingres. 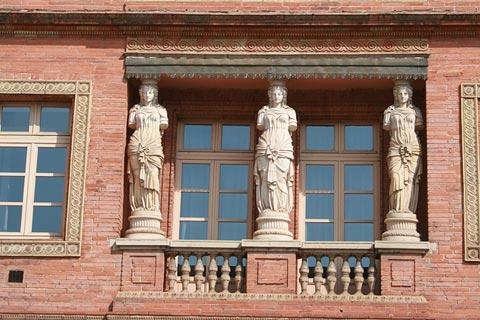 One notable attraction here in Montauban is the Museum Ingres (next to the old bridge), where you can see the works of renowned 19th century artist Jean-Auguste-Dominique Ingres and another local artist called Bourdelle. The museum is found in an impressive palace that has been built on the site of an earlier palace that was occupied by the Black Prince during the Hundred Years War, and you can see remains of the original building in the basement of the Museum. Other museums in Montauban are dedicated to Resistance and deportation during World War 2; and the Museum Victor Brown, dedicated to natural history and paleontology. 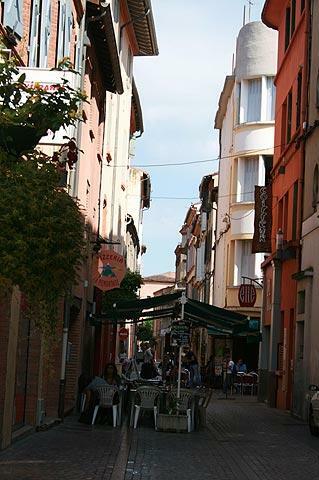 Note: Montauban doesn't perhaps create the best impression on arrival, due to development around the edges of the old town, but when you start to explore you will quickly discover that the town centre is very impressive. Among the most visited attractions in this part of the Tarn-et-Garonne are cathedral and cloisters at Moissac to the north-west and the lovely city of Toulouse to the south of Montauban.